Our last (half) day in New York, we dragged ourselves out of bed after only a couple of hours sleep. Well, Miss J and I dragged ourselves out of bed while Miss O crankily cried out "no!" and covered her head. J was taking us to the 9/11 memorial before heading to where he needed to be for the day, so the deal was we had to wake him at 8am. In fairness, he didn't take as long as expected to answer my wake up doorbells and knocks. Unfortunately, he returned swiftly to bed, and it took us another couple of hours to get him up and ready to face the day (those who know me will attest to my extreme impatience - lucky for J he'd been so hospitable I was forced to call on my reserves that morning!). 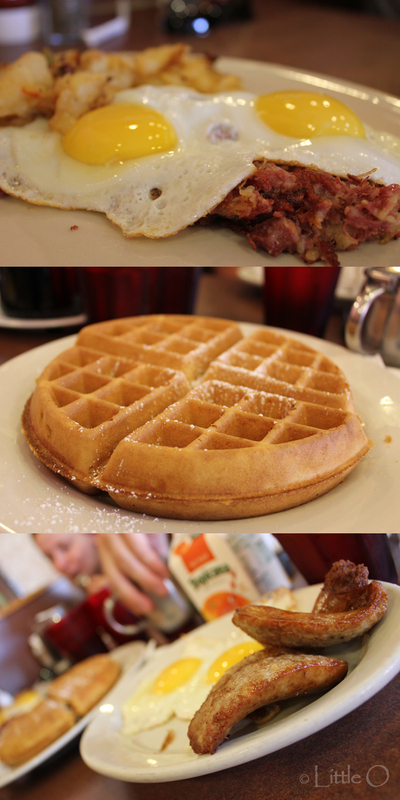 Finally out of the house and a little bit dusty, we stopped off at the Sunset Park Diner down the road for brekkie. Full up and less peaky, we headed to the 9/11 tribute centre and memorial where we said a somber goodbye and thanks to J. The tribute centre chokes me up. It's got to be done, but two times is definitely enough for me. They have done a great job with the memorial, its a lovely place to pay your respects, and really feel the enormity of the site. Building is going on all around, and it's good to feel the progression and the drive to move on, too. 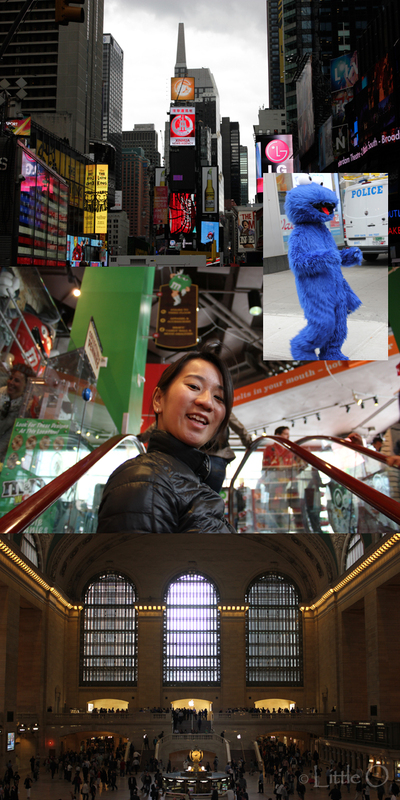 With not much time left we decided to do the tourist thing and whizzed up to Times Square and across to Grand Central Station before calling it a day. Oh...and we managed to fit a piece of Junior's cheesecake in just when we thought we couldn't tick anymore recommendations off our list. New York baked cheesecake - BAM! Tired and a little depressed, we started our journey home via the red eye. Most depressing thing ever? Sitting at work straight off the plane, having to buy lunch from the supermarket downstairs instead of somewhere new and exciting in NYC. But you know what they say - it's better to end a holiday feeling like you want to stay, than that you're ready to come home. NYC part 4: seconds, anyone?